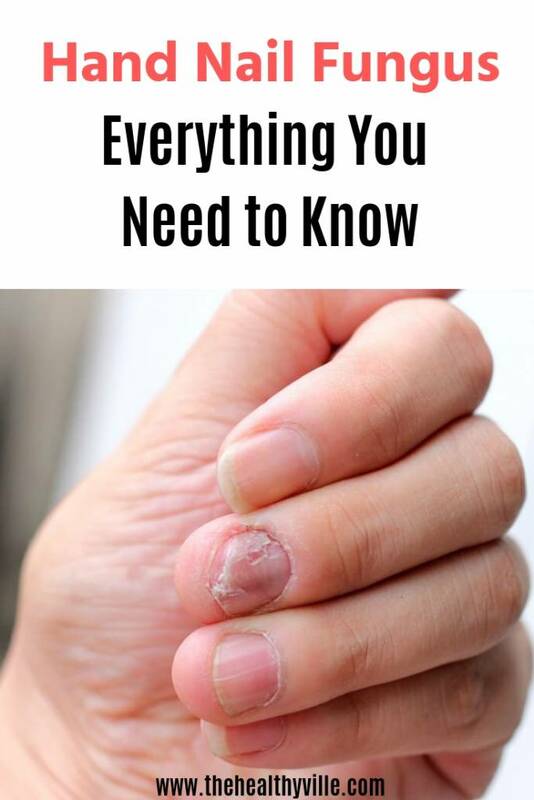 Just see the signs of the presence of hand nail fungus, assist a specialist doctor to give you a treatment and so you can avoid complications. The hands and feet are a sign of our body’s health and well-being. Its care is a symbol of personal hygiene, especially in the case of nails. Having hand nail fungus is quite annoying physically and aesthetically. There are many factors that can weaken, break and even infect and destroy the nails. These compromise not only their image and comfort but our health. Fungi are one of these factors and require special care. We tell you everything you need to know about the care of nail fungus. Onychomycosis is the presence of fungus on the nails, which usually affects the feet. Known as onychomycosis, infection of the nails is caused by fungi that produce pain, stinging and even loss of the nail. The fungi on the finger and toenails are a concern because they affect a very used area of ​​the body. Although fungal infection can affect anyone, there are several factors that make some are more likely to suffer from this condition. The fungi multiply in humid and hot environments, so that those who are exposed to these types of spaces on a daily basis may be more prone. The contact with detergents and abrasive substances promotes the appearance hand nail fungus. The tasks in which the hands are kept wet can also favor the appearance of fungi. Another risk factor for developing onychomycosis is the use of very tight or unventilated shoes for long periods of time. Athletes often suffer from this type of fungus, since they usually wear shoes that are tight for a long time. Do these fungi produce pain? Although we usually take for granted the health of our nails, any problem that may affect them, from cutting them more than they should or having an ingrown toenail, can be incredibly uncomfortable and often very painful. An infection in the nails is painful if not treated in time and also causes discomfort in our daily lives. This type of infections can even be dangerous to the health of the rest of our body. The infection of the fingernails and toenails usually begins with the periungual crease or the area around the nail. In these cases, this area becomes inflamed and reddened, so any contact with it will produce pain. There are cases in which you can suffer from chronic paronychia, a painful inflammation better known as a nail, which in some cases even develops pus. If the fungus invades the nail, it usually changes color to a yellowish or brown tone. The nail causes overproduction of keratin in the nails, which usually thicken and harden, and grooves or furrows are formed. In chronic cases due to lack of treatment, the nail tissue is destroyed or simply separated from the skin. As a result, it causes pain and exposes the fingers to other infections. Feet care: cut the nails and baths with water. Further info: This Vinegar Foot Soak For Toenail Fungus Is The Ultimate Solution For Your Annoying Problem! Pay special attention to the nails is essential to prevent the presence of fungi. The infection of the nails can be caused by ringworm, in which case it is called “nail tinea”, or by candid or yeast. On both occasions, the symptoms are similar, so it is necessary for a specialist to determine the treatment. The best way to prevent nail fungus is to maintain good body hygiene. Care should also be taken with the instruments used for manicures and pedicures, especially in public places such as beauty salons and spas. It is important that you dry your hands and feet well after contact with water. Keep spaces such as bathtubs and showers clean. Finally, avoid wearing shoes and socks without first having properly dried the feet. In case of noticing symptoms of an infection in the nails, go to the specialist doctor to determine the ideal treatment to fight the infection. Remember that each case is different, so you need a specific treatment. You must attack the fungus quickly to avoid complications such as losing the nail. Also avoid manipulating the nail with nail clippers or other implements so that they do not become infected or your infection is not complicated due to cuts. Don’t forget to SHARE everything about feet and hand nail fungus with your friends and family on your social networks!